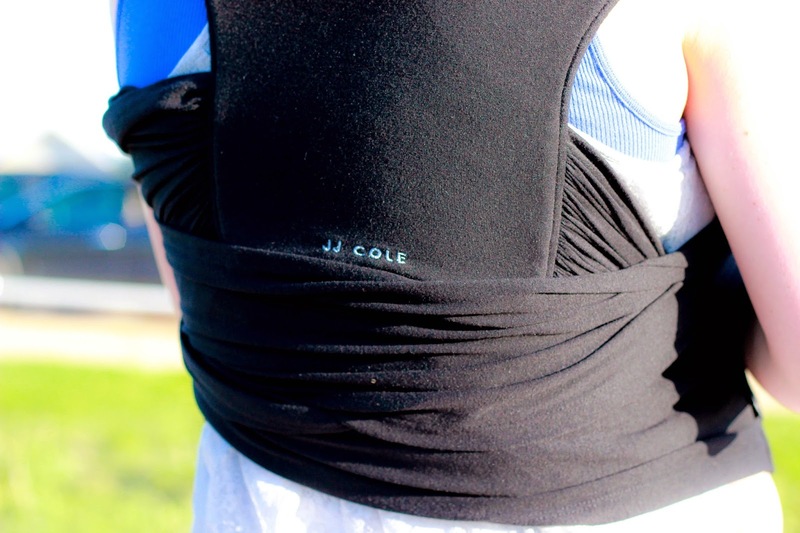 I am so excited to share these fabulous products with you from JJ Cole Collections. 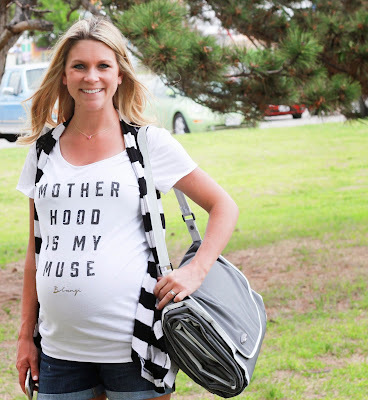 JJ Cole Collections has absolutely everything you will ever need for a baby from bath supplies to diaper bags! I was thrilled to review these items and give my honest opinion on them. It doesn't hurt that they are cute and that we enjoyed ourselves as we used them! Recently, I took Laikyn to my hometown and we went to an amusement park. 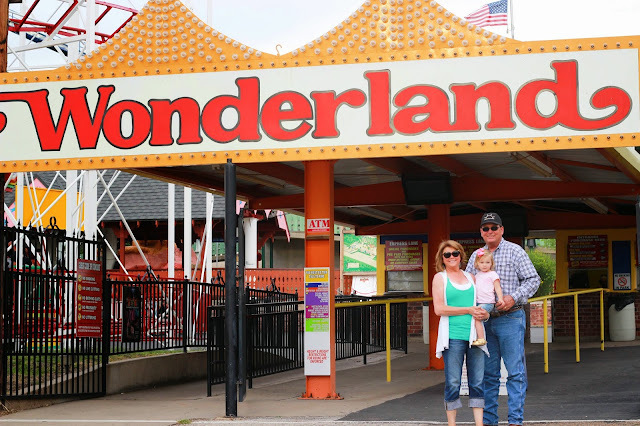 You can read about our adventure at Wonderland HERE. We had a great time eating funnel cake, walking around, riding rides and having a little after-park picnic. It was so nostalgic to take her to the place where I felt like I grew up going to. I remembered the rides just like my friends and I were on there laughing and joking just yesterday. Now my sweet daughter is getting that same experience with her cousins and I couldn't be more thankful. 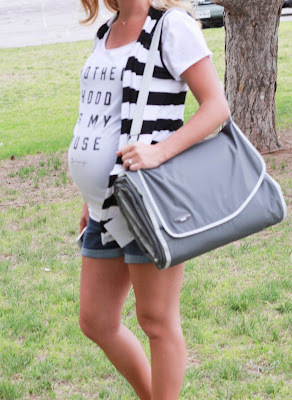 This JJ Cole Collections diaper bag served the perfect carry-all to are adventure of a day. 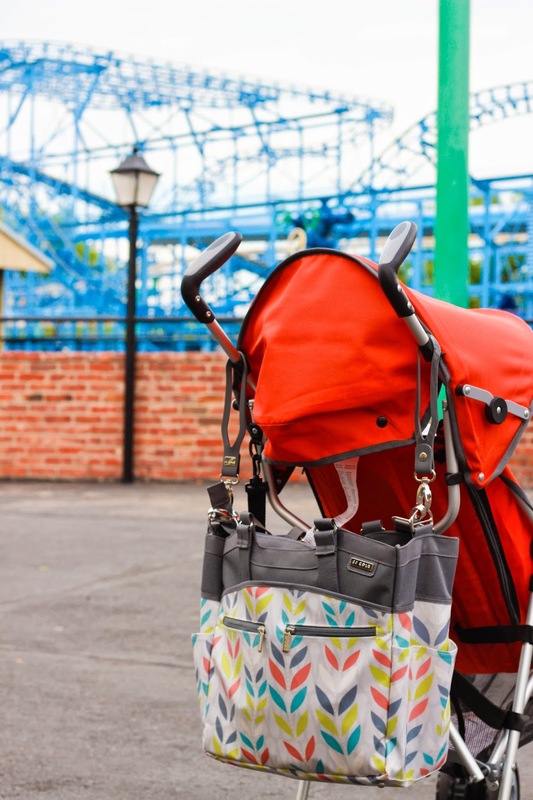 I usually use the Orbit Baby stroller (which I love) but this time we just threw in a quick Chicco umbrella stroller which worked great. 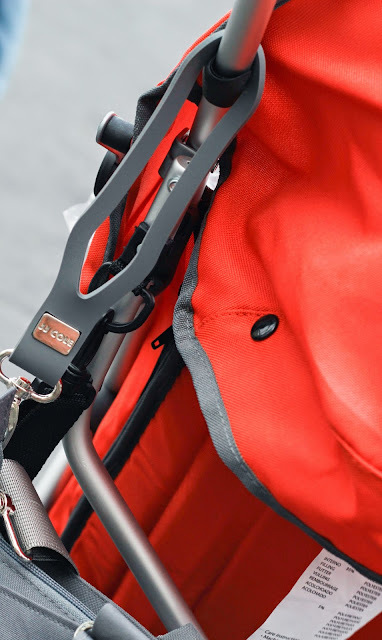 I put the diaper bag onto the stroller with these perfect stroller hooks that came with the bag. Seriously, y'all, it made it SO easy and effortless to carry a diaper bag through an amusement park. 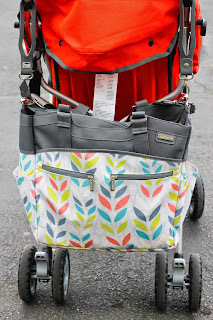 It's pretty perfect that the design of this Citrus Breeze Camber Tote Bag matched the stroller perfectly! I can't tell you how many compliments I got on it that day. 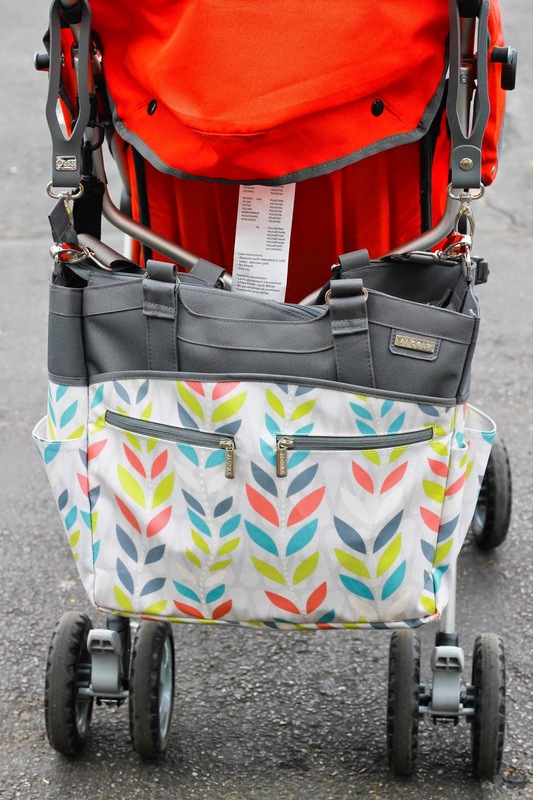 Inside the tote bag, there is several compartments and cubbies for diapers and necessities as well as bottle/sippy cup storage on each side of the bag. The bag is equipped with a diaper changing pad (and THANK YOU JESUS because those park bathrooms are less-than-par). I also love the zippers on the outside of the bag for storing things that I need like my phone and chapstick! 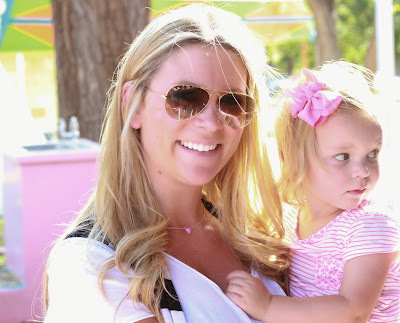 After we finished riding the carousel, train, boats, cars and helicopters (no roller coasters for this preggo) we headed out with our calorie-free, non-fat, non-fried funnel cake (ha!) 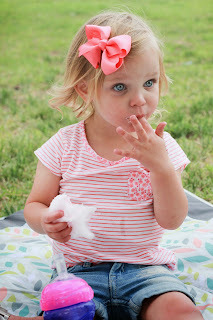 and pink cotton candy for a little picnic at the park just right outside the roller coasters. 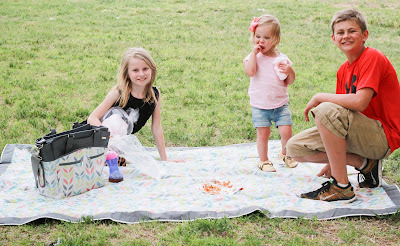 I got to try out our new picnic blanket! Laikyn enjoyed eating her weight in all of the goodies (and so did I) while listening to the screams and laughs of excitement coming from the park. 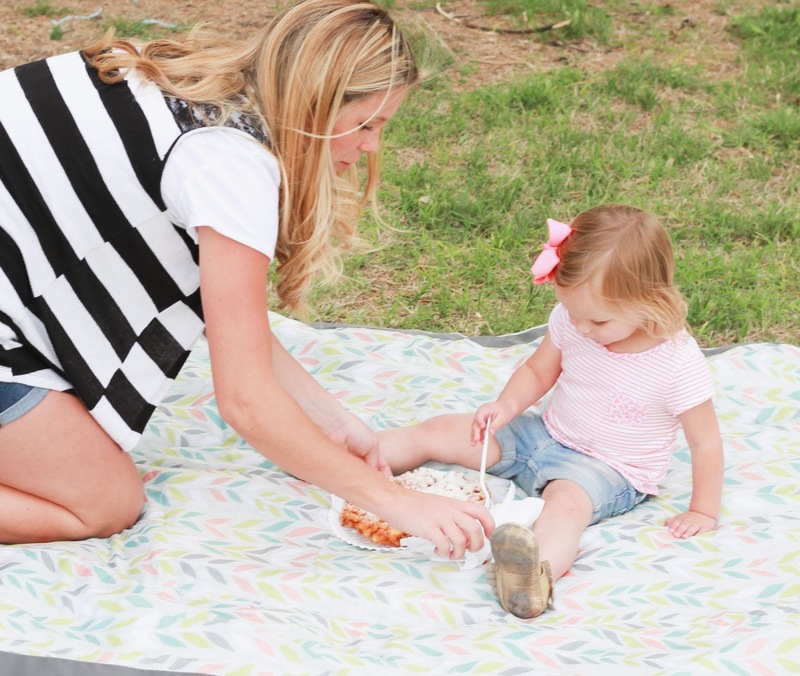 The Citrus Breeze Outdoor Blanket was perfect for our little picnic. I was thrilled when rolling this out, because it provided a clean area for us to sit down (and me prop my swollen feet up)! 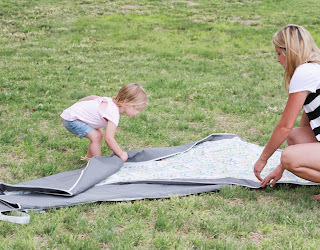 It is so easy to lay out, but even easier to fold back up and velcro back together. I don't know about you, but I dislike when I get a picnic blanket that looks perfect in it's little square bag before I use it, and then I go to put it back that way and can NEVER get it to fit back perfectly in the bag. Well, you don't have to worry about that with this blanket. 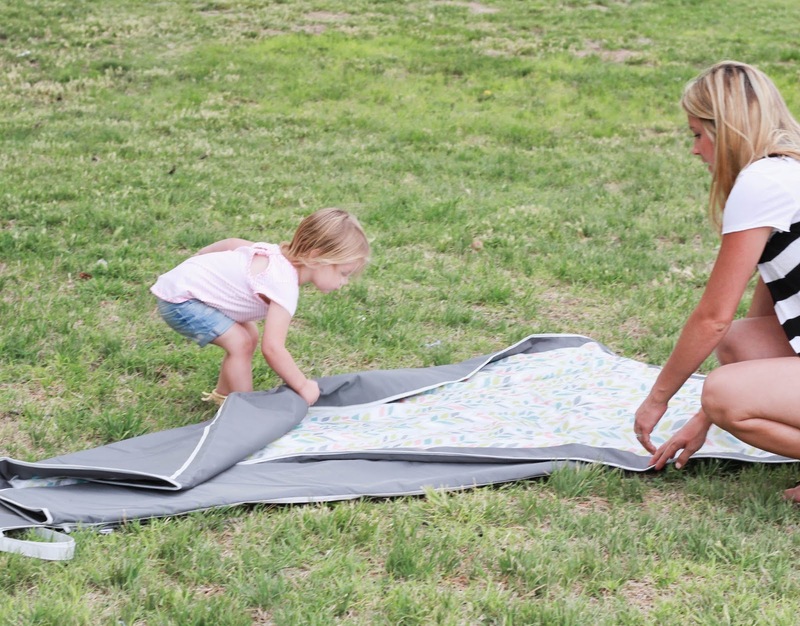 It folds back the exact way it unfolded and instead of stuffing it back into a bag that clearly got 18 sizes smaller than when you took it out, you just velcro it back down and it's done! Put the strap over your arm and you're off! 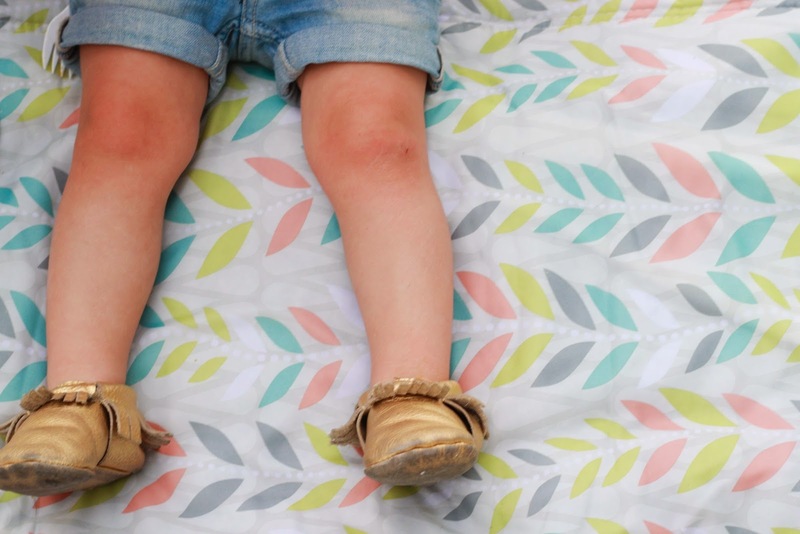 You can find the Camber Tote at Buy Buy Baby and the Outdoor Blanket on Amazon. 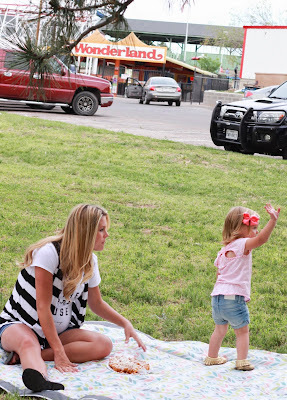 We loved our little outing and enjoy park days so much. 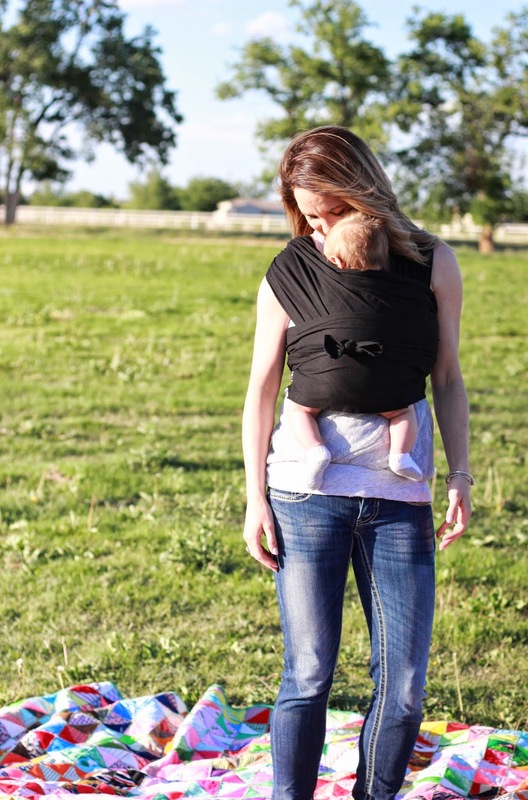 I intended on wearing this wrap with LC while we were at the park because I knew she would want to be carried 98% of the time! I love this Agility Carrier, but sadly, I am just too pregnant currently (34 weeks) to be wearing my toddler (without looking 100% awkward)! Thank God for sweet friends, because I enlisted Kyla and her sweet baby Brooks to use the Agility carrier for me. 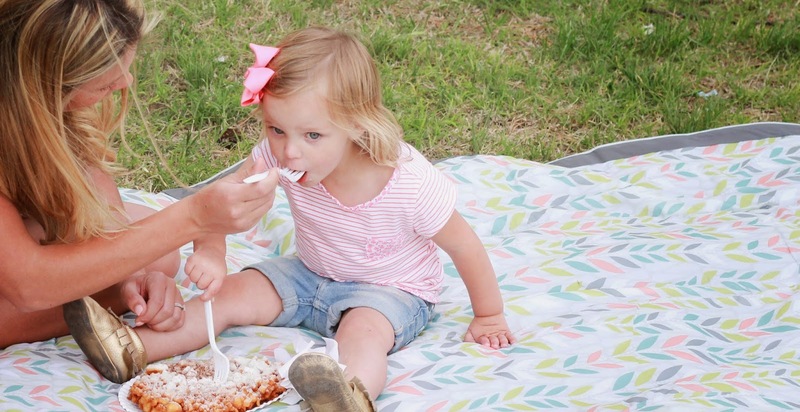 How sweet are these moments that can be captured while wearing the carrier!? I love that you can be completely hands-free and do whatever you need to while still having your sweet baby close to you. 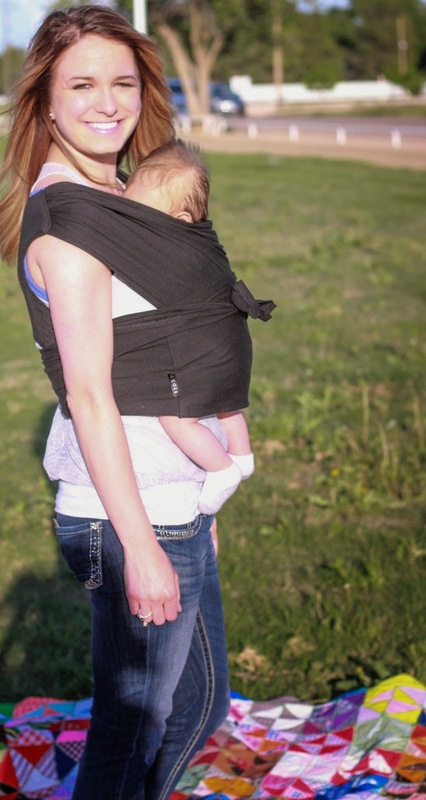 This carrier is great because it's not miles and miles of material with you trying to tie it the perfect and safest way. You simply put the main part of the carrier on, and then wrap the sash around for support. 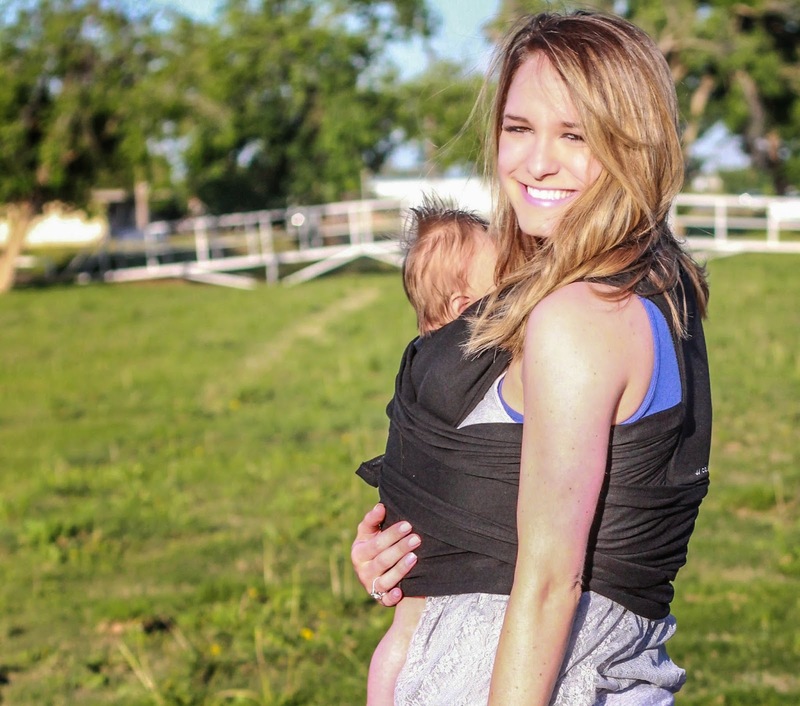 HERE is a video of how to use the carrier for each position with ease and for the safest way to carry. 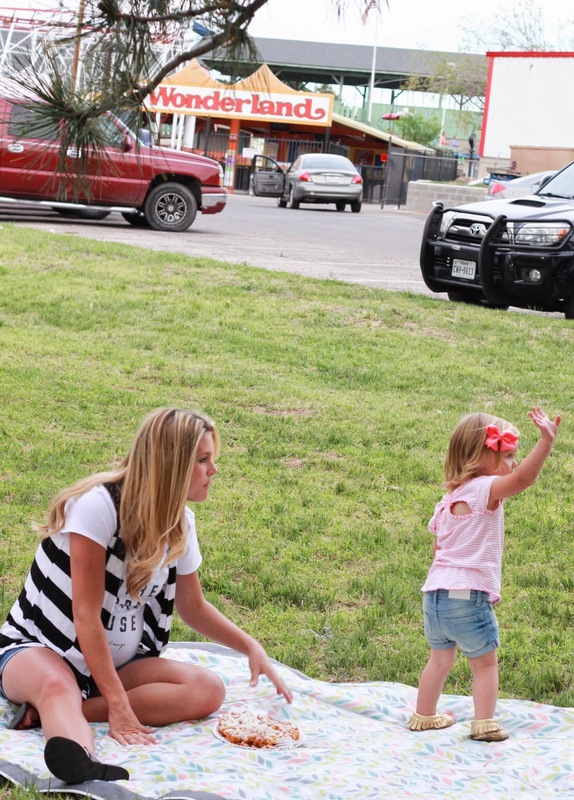 Aren't Kyla and Brooks adorable!? You can purchase the Agility Carrier at Target, BuyBuyBaby, BabiesRus or Amazon. Disclaimer: Little Lovelies is a part of programs that review items. The site did not receive any compensation for this post, although as part of this program contributors may receive items to sample or review. Opinions expressed are that of the contributors.